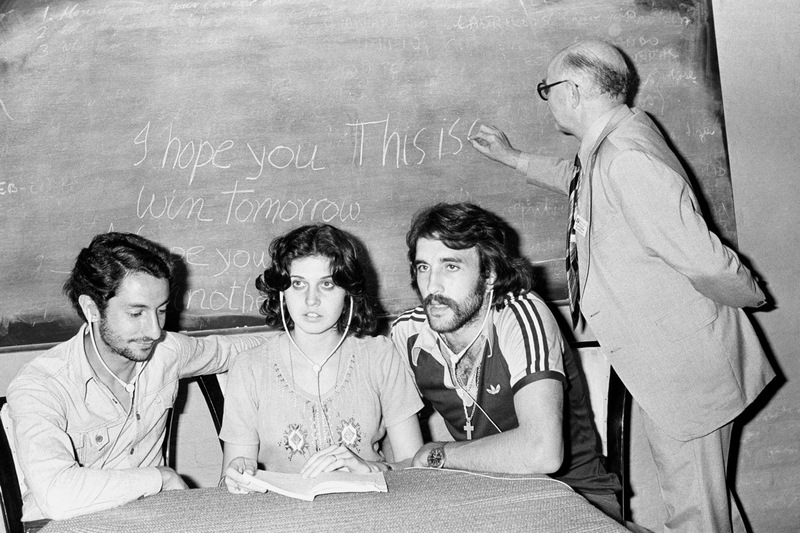 August 1978: Tottenham’s new signings Osvaldo Ardiles and Ricardo Villa (and Villa’s missus, Cristina) take an English language lesson at the East Grinstead firm of Interlingua. High glamour indeed. 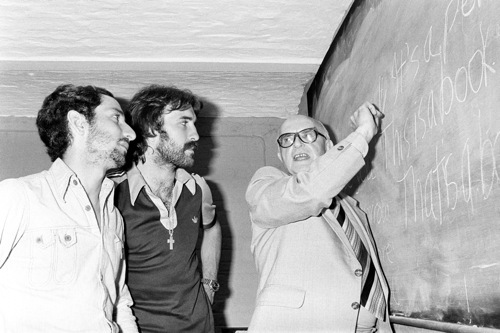 The tutor teaches the Argentines the phrase “I hope you win tomorrow”.